Each year on the United Nations-designated World Water Day, March 22, people around the world consider the importance of fresh water to ecosystems and to us. On World Water Day 2018, the National Science Foundation (NSF) looks at Earth's critical zone—the realm on our planet's surface between the forest canopy and bedrock—and the role North America's West Coast rivers play in sustaining spawning salmon. 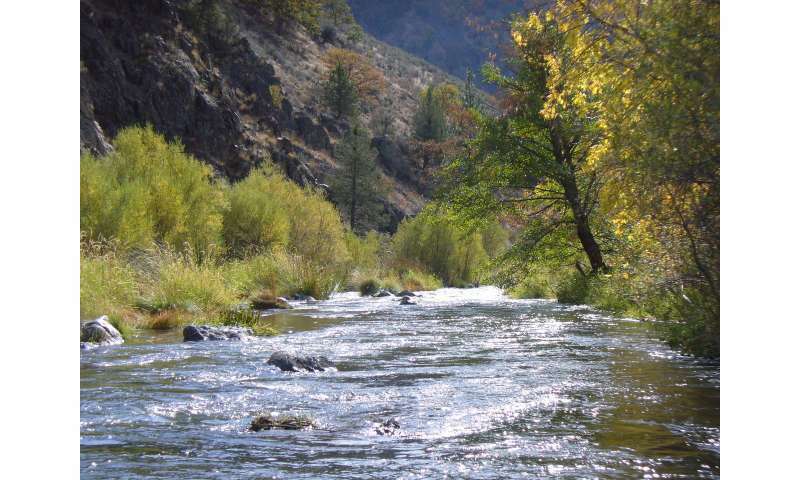 To find out more about the health of these salmon rivers, NSF spoke with scientists at the Southern Sierra Critical Zone Observatory (CZO), one of nine NSF CZOs across the country, and in NSF's Division of Earth Sciences, which supports the CZOs. Southern Sierra CZO researcher Cliff Riebe of the University of Wyoming and NSF CZO program director Richard Yuretich shared their insights. Answers are by Riebe unless otherwise noted. Why did you decide to study West Coast rivers and their spawning salmon? The critical zone's geology and biology are intertwined. The grain size of sediment in rivers, it turns out, helps determine aquatic habitat quality. 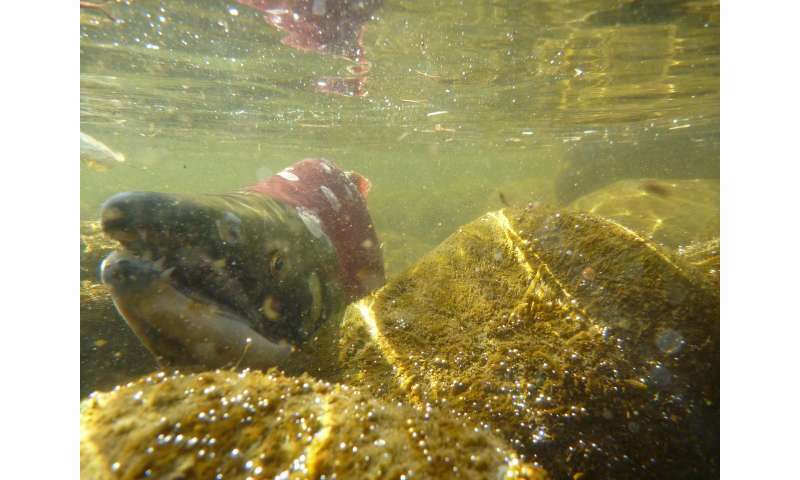 That has implications for spawning salmon, because bigger sediment particles make it harder for these fish to construct their nests, called redds. Do bigger fish fare better in rivers with larger-grained sediment? The answer involves links between life at the surface and characteristics of the bedrock that lies below. Where did your research take place? Our team studied spawning salmon in the Shasta River in California, South Prairie Creek in Washington, and Scotch Creek in British Columbia. Why did you choose those locations? 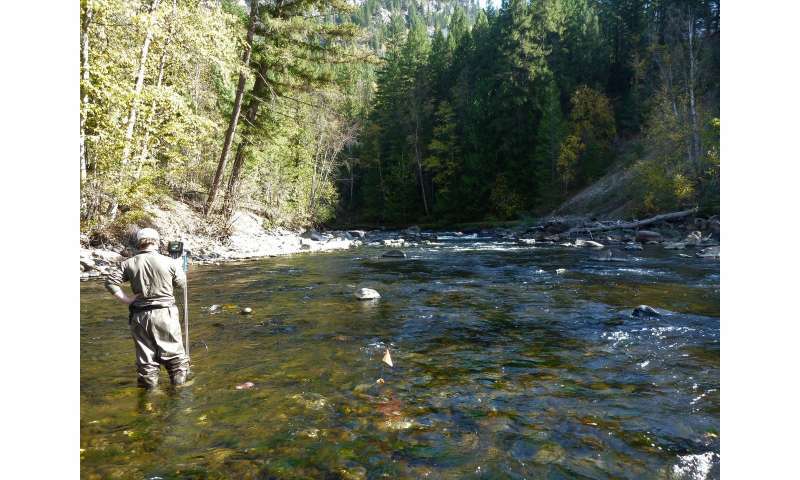 Salmon in these rivers and creeks are abundant—or were when we did our research. The fish were using as much of the riverbed as they could, pushing the limits of the available spawning habitat. There were so many salmon they used even the largest-grained areas, despite the challenges of moving the sediment. On the Shasta River, there's a population of large Chinook salmon, the biggest of the five Pacific salmon species. 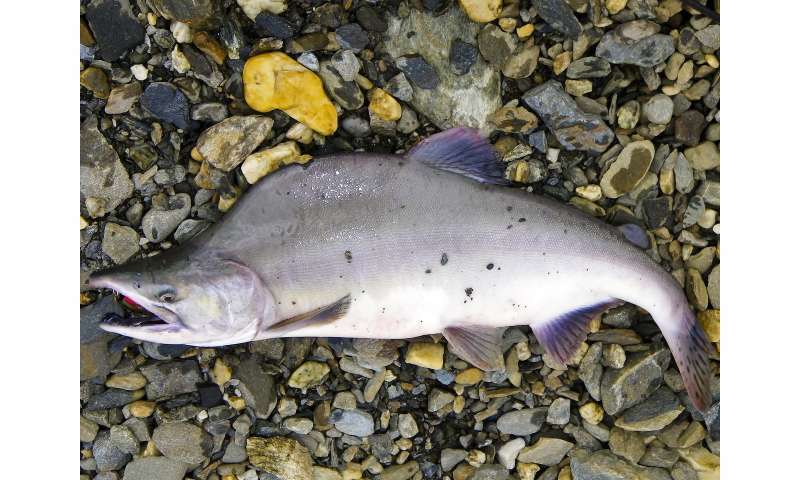 The much smaller pink salmon are common in South Prairie Creek. And Scotch Creek supports sockeye salmon, whose size is intermediate between that of the Chinook salmon of the Shasta River and the pink salmon of South Prairie Creek. By choosing rivers and streams that support a range of salmon, we were able to study the relationship between sizes of the fish and the largest sediment particles they can move. Is there a sweet spot for salmon size? A sweet spot does in fact exist. Bigger fish can move bigger sediment, but they also need more area to build their redds. Smaller salmon need less space for their redds, but they simply don't have the power to consistently move larger-grained sediment. That leads to a trade-off, with the result that an intermediate-sized fish—the "Goldilocks size"—is able to build the most redds. How are the study's conclusions benefiting West Coast fisheries managers? Our results are improving assessments of river suitability for spawning Pacific salmon of different sizes. 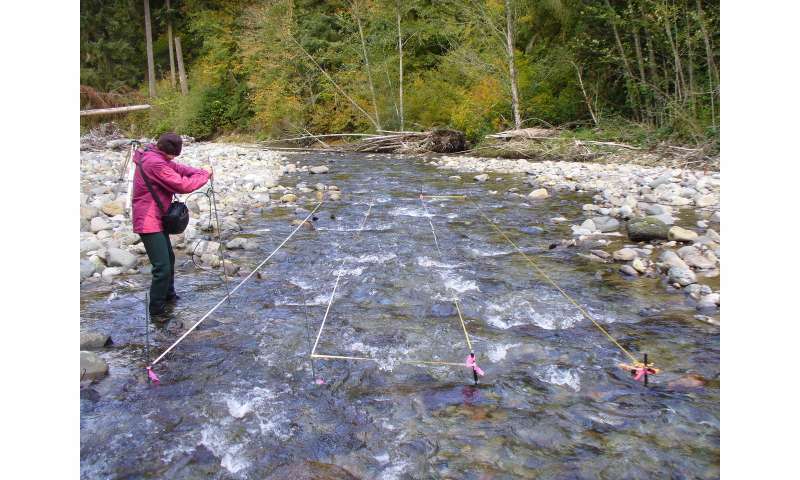 All that's needed to predict the salmon reproduction potential of a river is an estimate of the fish size, and the grain size of the riverbed sediment. Both are easy to measure. Our formula has been incorporated into an app that managers can access on their mobile phones. Are the results applicable to other regions' salmon runs? The relationship between sediment grain size and fish size, and between redd area and fish size, should be the same for any salmon species that builds redds using the cutting motion typical of the Pacific salmon species. Cutting is the swatting of the fish's tail on the riverbed surface. That swatting moves sediment particles, creating a depression where the female can deposit her eggs. The results of our study could be applicable to Pacific salmon throughout their ranges, from Japan around the Pacific Rim to southern California. And the findings may also hold true for Atlantic salmon in Europe and along the Eastern Seaboard of the U.S. Although our analysis explains the relative spawning success of three salmon species in California and the Pacific Northwest, more research is needed to confirm that these same relationships exist in other river systems with salmon of other sizes. How does this study help in understanding Earth's critical zone? Sediment distribution in a riverbed is a result of critical zone processes such as hillside erosion. The finding that sediment grain size influences salmon spawning success, and therefore the biodiversity and resilience of salmon populations, underscores the importance of understanding the critical zone. On World Water Day, what's the take-home message for water and salmon conservation? For millennia, salmon have been a vital food resource for humans and other species such as grizzly and black bears and birds like bald eagles and ospreys—and an icon of all that's wild. Salmon are remarkable fish, with lives that end in dramatic migrations back to the rivers and streams they were born in. Females build redds in riverbeds, then spawn and guard their eggs until they die. But all is not well in salmon rivers. Many salmon populations are in decline, and those that remain are not as diverse and resilient as they once were. 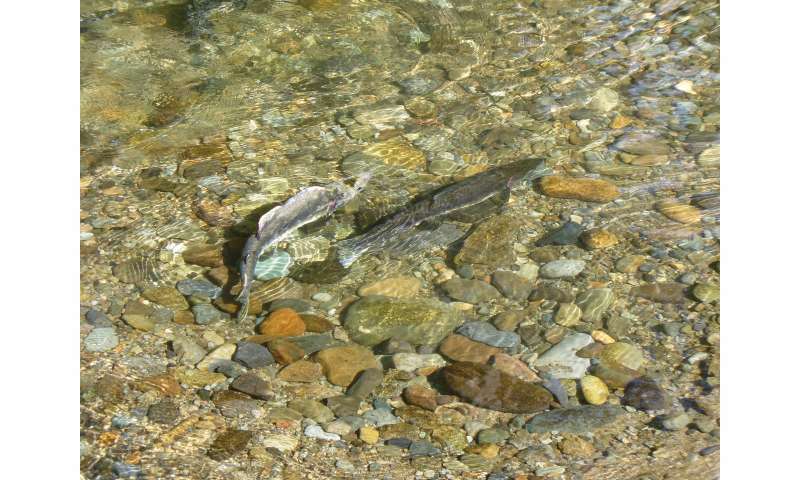 Salmon diversity and resilience in the face of wide fluctuations in population numbers may depend on sediment sizes in riverbeds where the fish spawn. Variations in the processes that turn bedrock into sediment may ultimately control the diversity and resilience of salmon populations in the Pacific Northwest. How can research at NSF's CZOs contribute to healthy rivers for salmon and other species? Many of the processes supporting life on Earth take place between bedrock and the top of the tree canopy. This thin skin where life meets rock is the part of our planet that's critical to maintaining a hospitable environment for living things from microbes to humans. Understanding what happens in this zone is important for all species, including, in this case, salmon—and the riverbed sediment size they need to spawn the next generation.